The Stella Adler Studio of Acting / Art of Acting Studio will be holding regional auditions for all of its Conservatory Programs as well as Summer Intensives. To request a regional audition, please indicate on your application the location and preferred date of your audition. Once we have processed the application, a representative from the studio will call to officially schedule your time and date, and give location information. 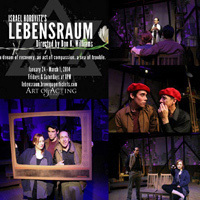 Any inquires or related questions in regards to regional auditions should be forwarded to johnny@stellaadler.com. On-going auditions are currently made by appointment by calling 212-689-0087. *Also participating in the URTA Unified Satellite Auditions in January 2018. 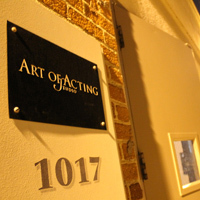 Art of Acting Studio in Los Angeles. 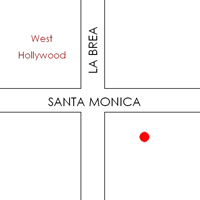 Contact them at 323-601-5310 or by email at info@artofactingstudio.com. Email ryan@stellaadler.com for an appointment. Email johnny@stellaadler.com for an appointment. Email Johnny Yoder at johnny@stellaadler.com for an appointment. *Must be a registered participant in the Kennedy Center American College Theater Festival, email johnny@stellaadler.com for an appointment. To schedule a free audition appointment in Australia e-mail Johnny Yoder at johnny@stellaadler.com or call +1-323-601-5310. 2019 DATE TBD! Stay Tuned. *Registration for auditions at the Southeastern Theatre Conference and the New England Theatre Conference is handled directly by SETC and NETC respectively. To register, please visit www.setc.org or www.netconline.org. Please inform us that you will be auditioning in the Graduate School Auditions, and we will specifically look for you on that day. Please still send a completed application to the studio prior to the convention so that studio representatives will have it on hand. Any questions in regards to the SETC & NETC conventions should be directed to Ryan Chittaphong, Director of Marketing at ryan@stellaadler.com, or Johnny Yoder, LA School Director at johnny@stellaadler.com.